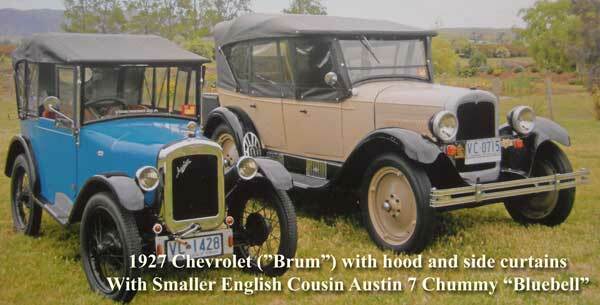 A 1927 Chevrolet has been chosen as typical of the Vintage era. For more information on vehicle classification click here. 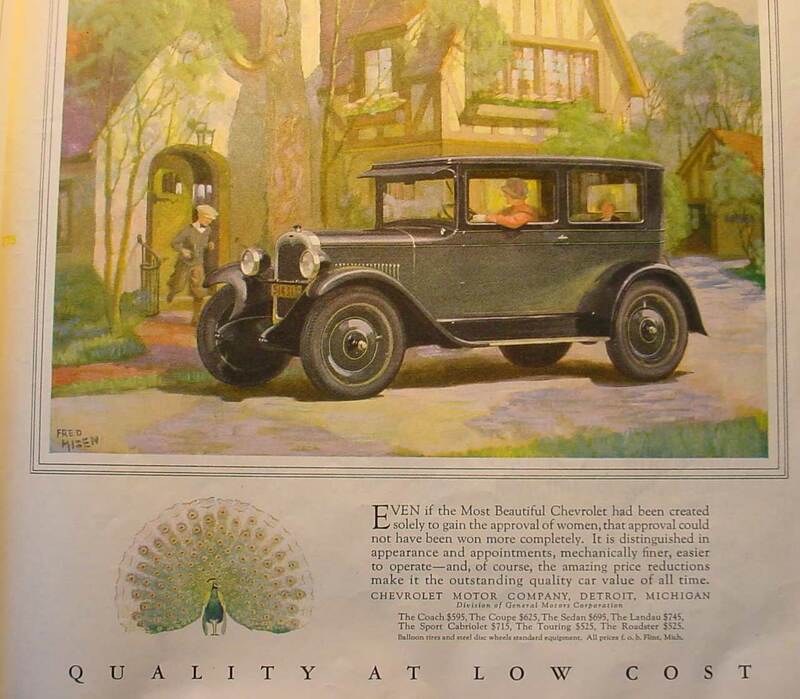 The 1927 Chevrolet was the biggest selling vintage car in any one year throughout this period. It must be remembered of course that Henry Ford ceased production of the Model T during 1927 to retool his factory for the Model A. Being at the lower end of the price range for vintage cars, the Chevrolet did not contain some of the more advanced features seen on the more expensive models. -Brakes were connected by rods and mechanical linkages. 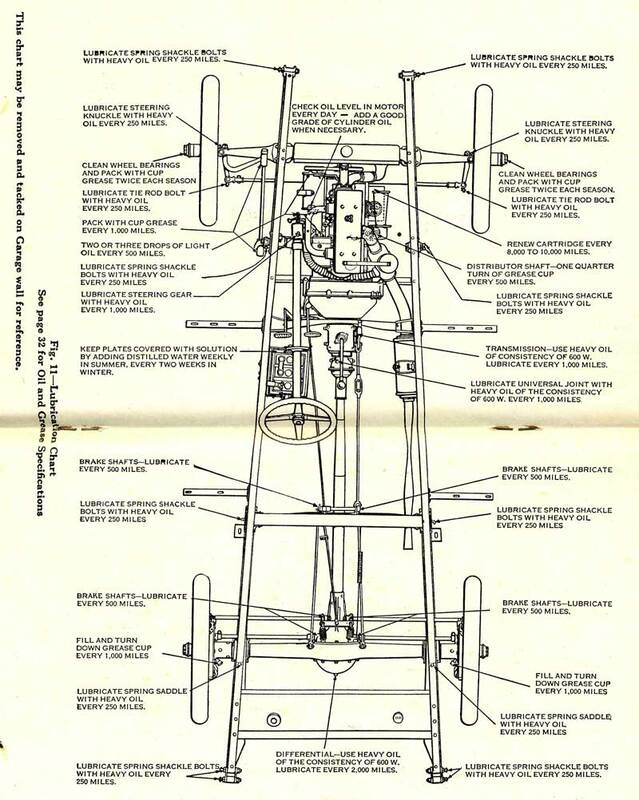 Hydraulic brakes began during this period and used by only a few models. -Ignition timing had to be set by the driver. This is done with levers on the steering wheel hub. This was typical of vintage cars. - Vintage cars usually had high ground clearance allowing for the poor roads prevailing at the time. The Chevrolet has an over head valve engine. The majority of cars during this period used side valve engines. Side valve engines stayed in production up until the late 1950's. 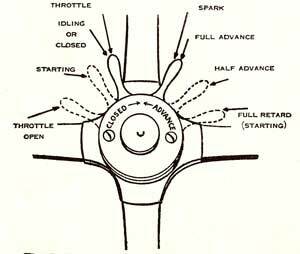 Later overhead valve engines lubricated the valves by pumping oil up from the crankcase. The 1927 Chevrolet had external push rods (see engine) and relied on lubrication from an oil soaked pad sitting inside the rocker cover. This is the air cleaner. Air passes through the angled flutes at the bottom of the can. It is said that the whirlpool action separates the dirt particles and allow clean air to be sent to the carburetor. The dirt particles are passed out at the top (marked "4'). 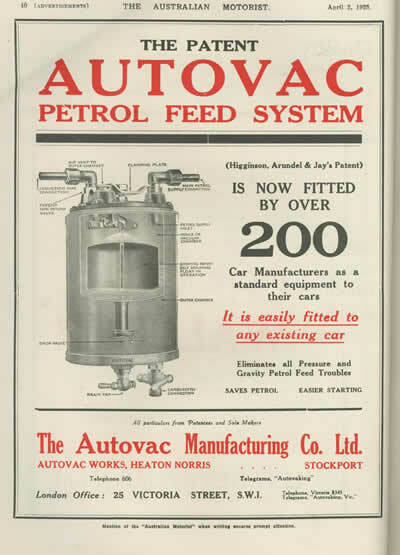 A 1923 advertisement of a fuel Vacuum tank. The tank (or pump) relies on vacuum from the engine to draw fuel from the petrol tank. The system proves very reliable and usually gives little trouble.